Thank you for filling in our Platform Gap survey! 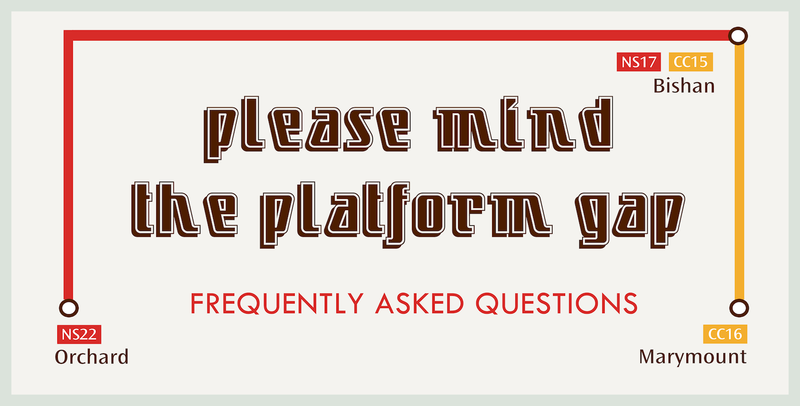 In this week’s Platform Gap article, we tackle some of the more popular and stranger questions asked. Q: Why did so many people fail CT1s? How can we avoid such an early failure in JC life? A: Many people do, indeed, score an S (Subpass) or a U (Ungraded) in their first CTs, particularly in Chemistry and Economics. This is a regular occurrence, likely because of the combination of the following factors: newness of the syllabus (as compared to secondary school), the subject department’s marking standards, and the skills and knowledge required for the exams. To most people, ‘failure’ (<;45%) is a new and frightening thing, especially if they have been getting 3.6s or 4.0s in that subject in secondary school. But it quickly becomes normalised (though not satisfactory), when you see all your hardworking, clever friends filling up the classrooms for post-CTs Chemistry remedial, mandatory for all S or U scorers. The obvious answer to the second part of the question is to study. But, honestly, would you rather have an ‘early failure’ or a later one? A failing grade urges you to reassess your exam technique, to organise your schedule better, and to attack what went wrong the first time round. Additionally, CT1 grades take up about 15% of the final grade across all subjects, so while they may seem to matter so very much when you get your papers back for the first time, they often barely impact your overall grades for Year 5. Q: How well does GPA in Year 4 predict academic results in Year 5/6? A: Overall, there is an upward trend, mostly because people study a lot more in JC than in secondary school. Also, plenty of students escape the subjects that were pulling their GPA down, like Chinese, Literature, or Biology. Q: Does everyone really study a lot more? Q: Why does Economics sound so difficult? What should I do during the holidays? A: There are three main reasons for this: it is a new subject to most people, there is a specific vocabulary you have to get used to using when addressing economic issues, and the Economics department generally gives lower grades. Personally, I read Freakonomics, which was fun, but I must say that I did not learn anything about economics during the holidays. You can start reading The Economist regularly, but don’t worry if you can’t understand their financial and fiscal jargon. Just look at the pictures and the captions. Q: What are the pre-requisites needed for CCAs? Q: What is the CCA trial process like? A: There is a complicated online application process, and people who were in sports CCAs in secondary school have to wait for a second round while the rest of the school goes for their trials…the school will explain it all to you. We couldn’t explain it ourselves. Q: Should I take two CCAs? A: It depends on what you want from CCAs. Do you want to add something to your CV? Do you want to occupy your time? Or is it for self-fulfilment? Nonetheless, if you do take a second CCA, it must be a Club or Society, regardless of your first (unless you appeal to the administration). Furthermore, 75% attendance is required for all your CCAs or your membership will be voided. In reality, many people sign up for two CCAs at the beginning of the year. But as Council members are elected, the work comes in, and you realise you have five hours to kill every Tuesday between the end of school and start of CCA…dropping a CCA is always an option, provided it isn’t your only one. Joining a CCA after the trial process (provided the heads of the CCA are okay with it) is also an option, though less common. Q: Will the CCA you join severely impact your popularity? After all, there are many horror stories about bullying. A: Well, since popularity is ‘the state or condition of being liked by many people’, your CCA would definitely impact your popularity, since the more people you can get to like you in your CCA, the more ‘popular’ you will be. But, to answer your question less pedantically, it definitely depends more on your personality and inclinations than on the CCA you choose. And bullying? We have heard fictional stories, yes, but not many horror ones. For information on specific CCAs, look out for our CCA previews coming early next year, to complement Open House and CCA Feste! Q: What are the hours of a typical school day? A: School starts at 7.45 every day except for Monday – enrichment programmes (optional) are from 7.45 to 9.45. If your class has an unconventional timetable or a number of subject combinations, then lessons might end later, though no later than 5. Breaks are usually one or two hours long. Q: What are the usual daily after-school activities? A: Many of us never thought a shopping centre could be more boring than a classroom…until we came to Bishan. Junction 8 is big! And bright! And so boring. At the beginning of the year, Orientation groups (OGs) flood the places wherever large numbers of people can be accomodated. But, after Orientation, most people just go home after school. And with CCAs and CIP and uncoordinated ending times, there’s even less of an incentive to plan outings. Q: Is the canteen food a rip-off? A: It is not excellent. But it is not unreasonably expensive either. You can always choose to walk over to the RI canteen to dine; many report that the range and quality is much superior there. Q: What is the percentage of people dating in RI? A: There is unfortunately a dearth of research in this area, and no official numbers can be provided at this moment. We will be publishing a campus guide in our Platform Gap series closer to the start of school, and you will receive an official map (from Press) next year! Want to see more? Fill in our survey (we still welcome responses) with all your exciting questions or leave a comment below!